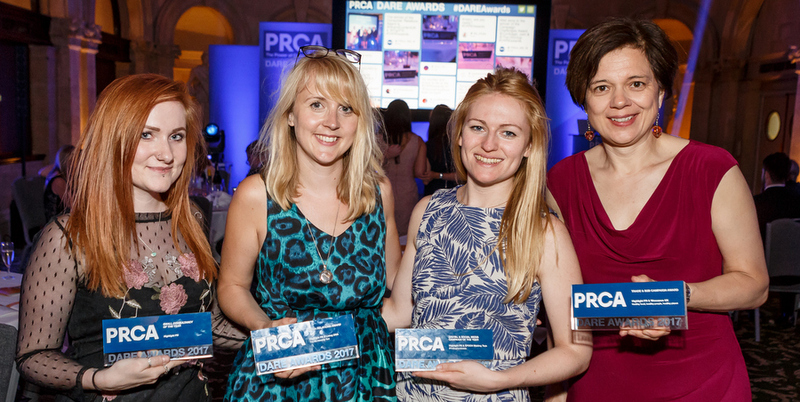 The ceremony, which took place at Bristol’s Marriott Royal Hotel, saw agencies and in-house teams gather together to celebrate the great work of the PR and communications industry and to recognise those that lead the way in media relations, reputation management and innovative digital engagement techniques. 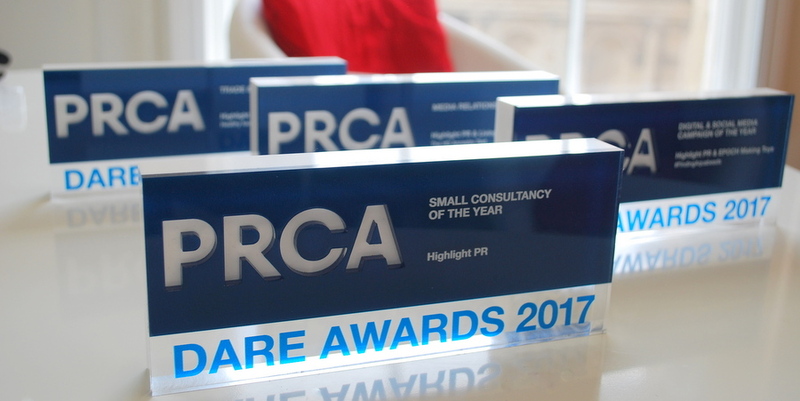 We were delighted to retain our ‘Small Consultancy of the Year’ title, after another year of strong results for existing clients and several notable new business wins, including pioneering DNA ancestry company Living DNA, organic food brand Babease and outdoor toy company, Wicked. Within focused categories, Highlight scooped the ‘Trade and B2B Campaign Award’ for our Healthy Food, Healthy People, Healthy Planet activity for Wessanen UK, the owners of natural brands including Clipper Teas, Whole Earth and Kallo. 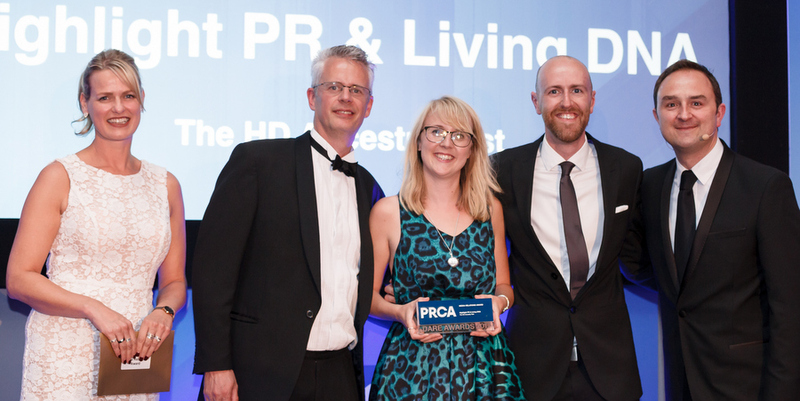 We also won the ‘Media Relations Award’ for our work in launching and establishing Somerset-based Living DNA and driving sales and web traffic for its ‘HD ancestry test’ that looks to challenge racist attitudes and behaviours through the power of DNA testing. And our consumer team picked up the ‘Digital and Social Media Campaign of the Year’ award for client EPOCH Making Toys for #FindingAquabeads, an imaginative campaign that combined creative online games with an integrated PR stunt and blogger engagement to entertain fans of the global craft brand and drive social sharing. Our dedicated work to launch children’s TV show Bottersnikes & Gumbles was also shortlisted in the ‘Low Budget Campaign’ category. 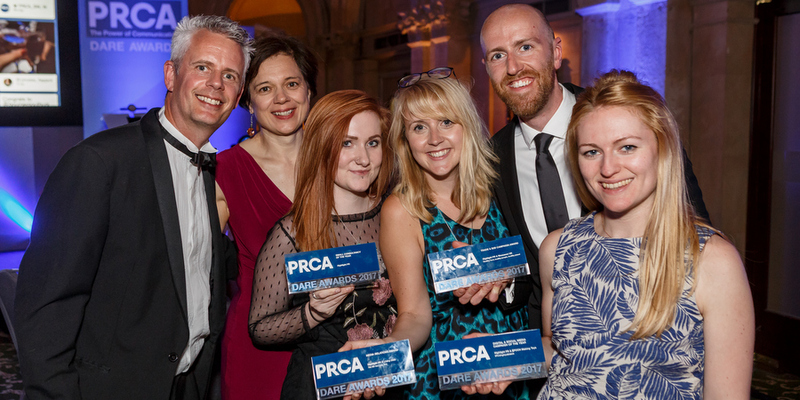 2017’s success for Highlight follows on from a hat-trick of PRCA DARE award wins at last year’s ceremony in Bristol.